But can the format survive an increasingly connected world? Blu-ray is celebrating its fifth birthday today, marking five years since the first Blu-ray discs went on sale to consumers. The technology may be more than a decade old but it took a cool six years for Blu-ray discs to hit the shops and a few more years for consumers to warm to the technology. Now Blu-ray is a firm part of the £2.6 billion UK home video industry. This is not to say that Blu-ray is not finding it tough in what are 'interesting' economic times; the NPD group in the US found that both DVD and Blu-ray sales were down in 2011, blaming the dip on pretty shoddy titles being released in the market. But despite the growing dependence on digital formats and video on demand, the impact of the physical disc on the market is still a huge one and very much part of the movie and television eco-system. Speaking at the Insight 360 BVA event in London earlier in the month, with TechRadar in attendance, Andrew Tessler, senior economist at Oxford Economics, said that DVD and Blu-ray sales were paramount to the future of TV and film, with 47 per cent of all feature film revenue coming from video sales. When it comes to the lifeblood of key UK shows, like Doctor Who and Downton Abbey, Tessler said that DVD and Blu-ray sales accounted for 50 per cent and 47 per cent of revenue respectively for these shows. Films also rely heavily on video, with movies such as Kidulthood only making their money back once they hit disc. With the advent of Blu-ray came 1080p viewing in the home, which is still the best quality available from any format. This and extras like BD-Java and BD-Live have made Blu-ray something that is genuinely offering more in the home entertainment space – even if most of us tend to ignore BD-Live as we do that distant relative that only seems to turn up at Christmas. For Blu-ray to survive alongside digital downloads and streaming in the home it will need a helping hand; something that UltraViolet may be able to deliver. Set to launch this year, UltraViolet is being backed by 70 companies – including Sky, Netflix, LoveFilm, Samsung, HP and Dell. The idea is that you buy something on Blu-ray – or whichever format – and you will be able to access that content from a multitude of devices in digital form. Tim Wright, VP, worldwide new media and tech at Sony Pictures, told TechRadar: "It is a rights locker, where you can access films and TV programmes whenever and wherever you want. We will allow up to six members of a household and three simultaneous streaming feeds. "The idea is that UltraViolet rights could be on a Blu-ray disc, so it's a great way to own films and TV shows in the multiple device, connected world you live in." Blu-ray may not have filled the boots of DVD yet but there's still some way before digital usurps disc. This is a view backed by Lavina Carey, director general of the British Video Association, who said to TechRadar about video in the home: "Technological innovation is asking questions about the future of disc, yet the demand of video content is as strong as ever. "Entrepreneurial digital services in the UK are being snapped up by global companies – Amazon with LoveFilm; Tesco with Blink Box. "It is extremely important to embrace all these, but we can't be too starry eyed over new tech services. All-you-can-eat services offer fantastic value but we need to figure out the economic potential and revenue is right for content creators, as well as making a return for the tech companies offering the service." 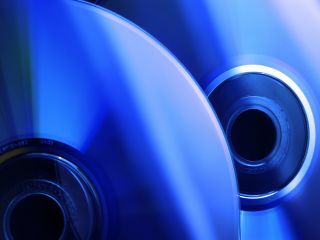 To celebrate Blu-ray's five year anniversary the AV experts at Home Cinema Choice have compiled what they think is the best disc of each year, which you can find at http://hcc.techradar.com.